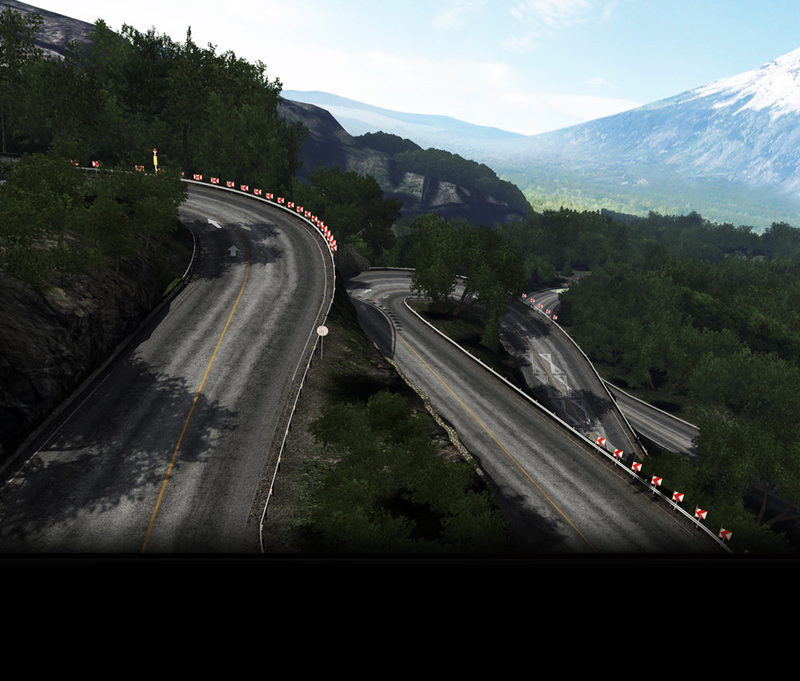 Legendary among Forza players as one of the best places in-game to link powerslides, Fujimi Kaido provides the ultimate technical driving experience in a gorgeous setting. Winding skyward to a 2,800 foot summit amid the wooded mountains of the Kita-Kantou region of Japan near Mt. Fuji, whose singular presence towers over much of the track, Fujimi has more than 100 turns to encourage drivers of all types to explore extreme angles of attack. The track is inspired by serpentine Japanese mountain roads, enhanced with such touches as authentic road markings and a highly detailed Japanese town—a quintessential setting to experience the challenges of touge driving techniques. Slide past the beautiful waterfall which feeds into the lake glistening below, or shoot out of the numerous tunnels sideways—but don’t lose your focus for a second, because the course’s often-narrow tarmac can be unforgiving in places. 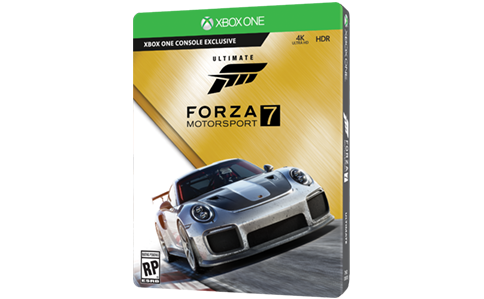 To fully navigate the mountain from front to back will take drivers a full 10.2 miles, although Forza offers a number of ribbon variations (including reverse variants) for drivers looking for a new challenge or to perfect their technique on a specific stage—including downhill stages that allow even slower cars to feel the heart-pounding excitement of drifting just inches from the guardrails. 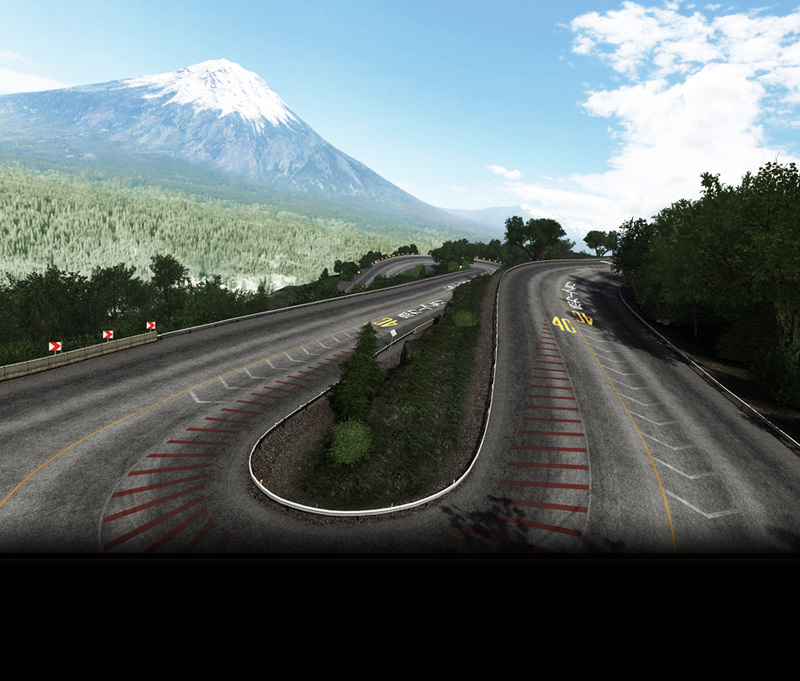 For the ultimate Fujimi Kaido challenge, try drifting it with the new “Simulation Steering” setting turned on, for a more realistic but considerably more difficult experience.